Java Packages, The package can be defined as group of classes, interfaces , sub-packages. Packages are divided into two types they are built-in packages and user defines Java Packages. The advantage of the package is that, it provides access protection, removes naming collision, class and interfaces can be managed easily. While doing any Java program the regularly using packages are java.lang, java.io packages, where java.lang package will consist set of fundamental classes and java.io packge will consist set of input, output streams. 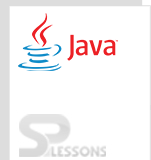 Lang package contains the classes that are basic fundamental to the formation of the Java programming language. Util package contains the collections framework, legacy collection classes, event model, date and time classes etc. AWT package provides the packages to develop GUI application. For more detailed overview on collections click here . Java Packages, Package is a keyword, by using this keyword one can create another package. Following is an example where developer is going to create the Splesson package. With out any IDE package will be compiled as follows. //The -d is a switch that tells the compiler where to put the class file i.e. it represents destination folder. Code will be run as follows. By using three ways developer can access the Java Packages from another package, they are as follows. Following is the structure to use packages. Here developer is going create another package with the name pack. Now the developer is going to create main method in splesson package with different class. import pack. *;//here used import keyword. Here the developer user previous package by using import keyword. pack.A obj = new pack.A();//fully qualified name. Following is the fully qualified name. The static import is the good feature of Java 5 that helps the java programmer to authenticate any static member of a class. The use of Static Import is to reduce the length of the code if user authenticate any static member of class. The following is an example. In the above scenario, System.out.println is not used instead of that only out.println has used. Now compile the code result will be as follows. In Java Packages, one can create sub package. java.io is used to give input, output streams.